A municipal worker fixing some electrics fell down a ladder onto railings on Friday afternoon. Twenty two year old Pathomporn Pongkaset had to be supported by bystanders before foundation medics arrived on the scene. A spike from the railing had gone clean through his foot. Cutting equipment was used to free him before he was taken to hospital. He was putting up lights ahead of a show to be held at the municipal offices in Phayao in the north of Thailand. The lack of safety standards here in this day and age is simply unacceptable. If I had a Baht for every time I saw somebody standing on a wobbly ladder, chair, barrel, etc. I'd be a millionaire by now. Poor kid, hope he recovers OK.
Those nasty railings look like the "apple corer" variety. Good on the people who supported him until help arrived. 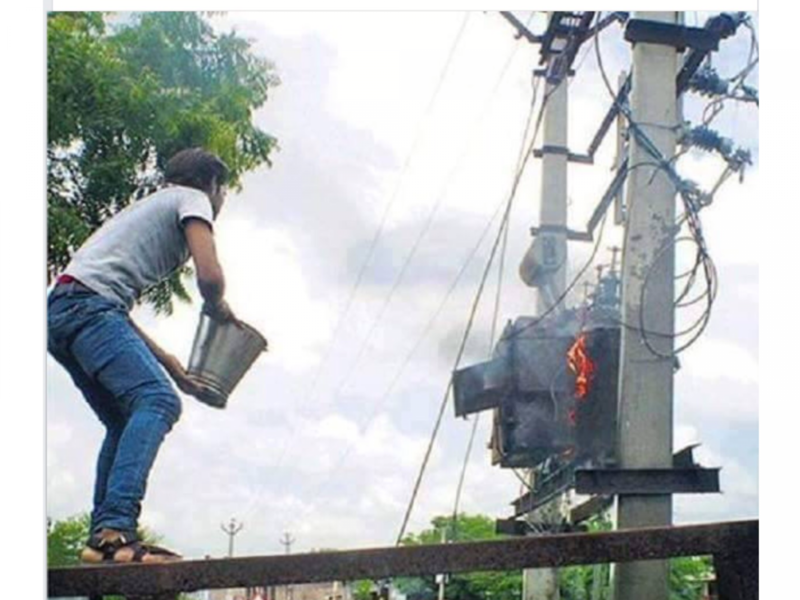 was he wearing OSHA approved flip flops? I'm thankful they didn't work an "ignorant foreigner" into this story!!! Seems the boy managed to #uck up all by himself. You couldn't make this stuff up even if you tried.